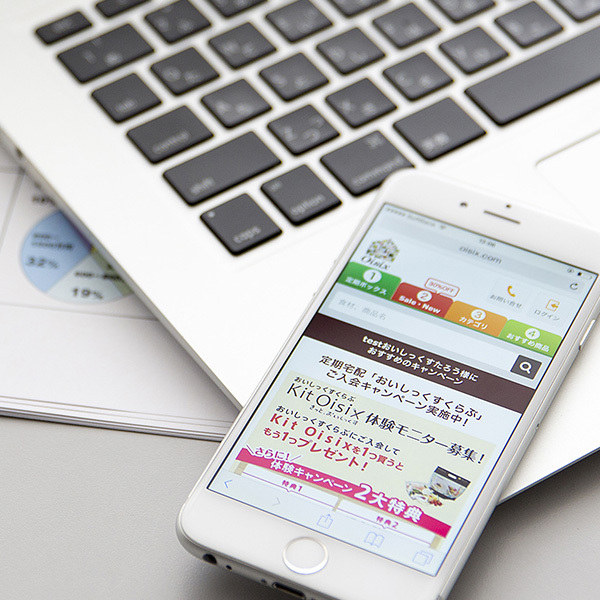 OUR SERVICES | The official website of Oisix ra daichi Inc. 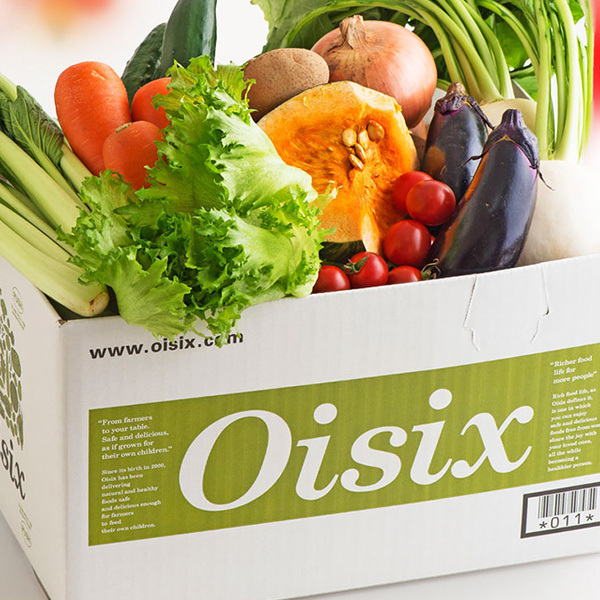 In addition to food delivery for individual customers, Oisix ra daichi also offers unique solutions for corporate customers developed through our experience in the food delivery business. 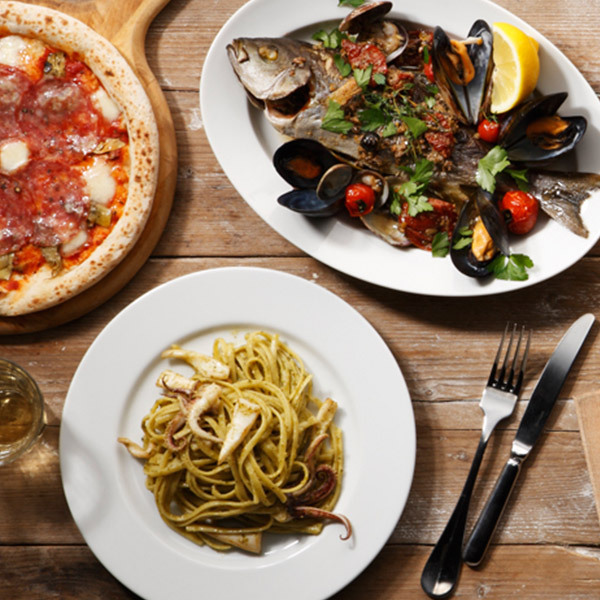 We provide services delivering delicious food products carefully selected from all over the country. Our main motive is to provide food that parents feel safe to feed to their children. 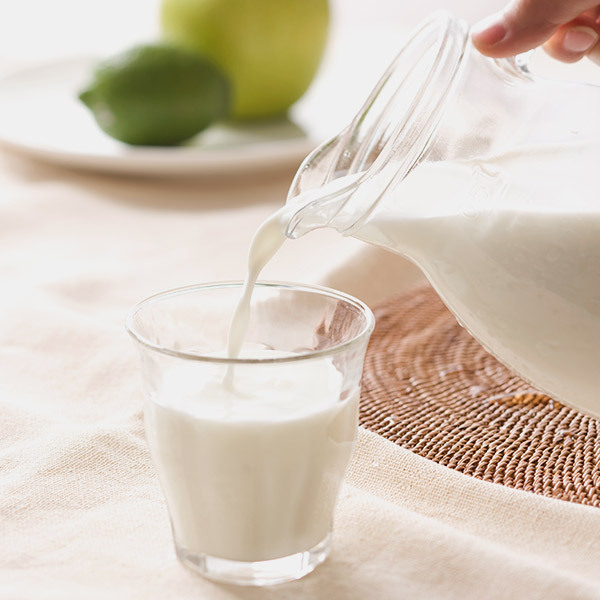 Such products include organic agricultural food, specially cultivated crops, processed food with minimum additive, meal kits that specialized in time-saving. Products are distributed from the online store and retailers. A service delivering food for daily meals on a regular basis. We offer a wide range of selected food products. 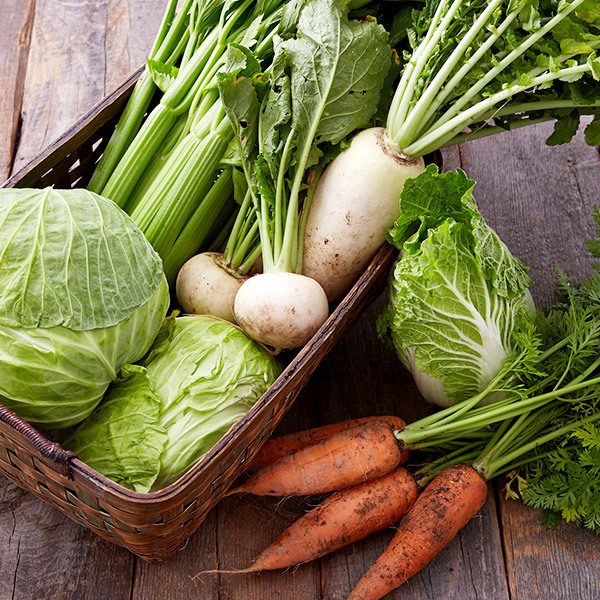 This service enables you to order hard to find seasonal products from across the country. This is separate to the Oisix main store. These purchases can also be given as gifts. A service to provide our customers with pre-registered products, at discounted prices. We deliver one item, such as a drink or rice, on a regular basis. 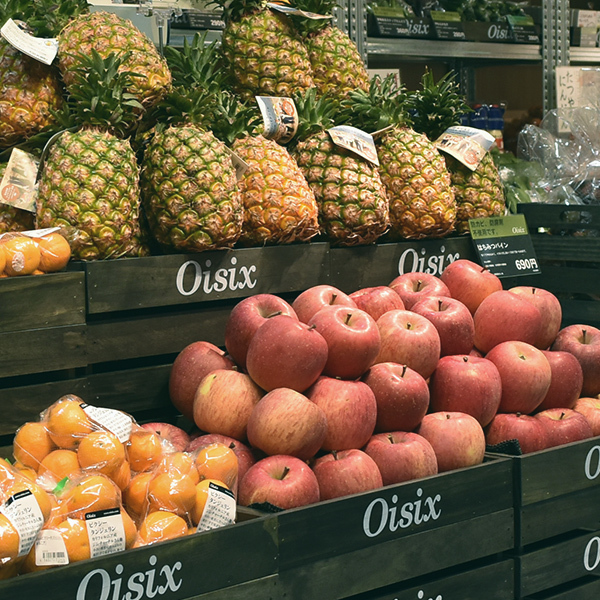 You can find information on our physical outlets where you can pick up and purchase Oisix products. 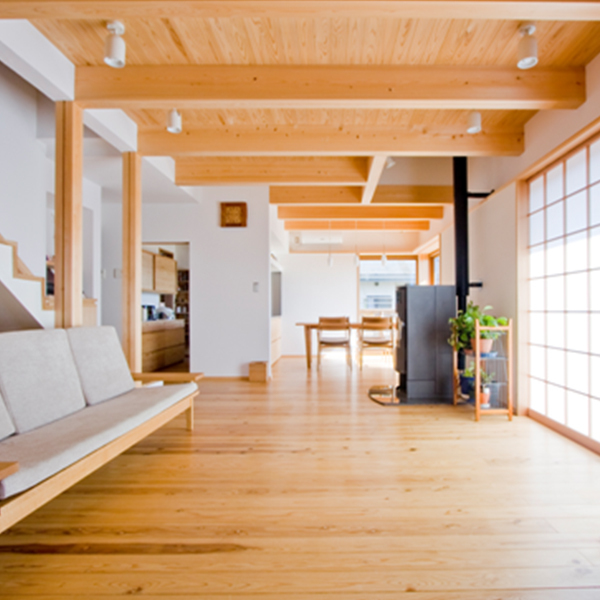 In 1985, Daichi wo mamorukai started the first ever organic agricultural products household delivery system to cope with the diversification of lifestyle of modern society. Details of the manufacture and origin are shown on the online store and the catalogue “Tsucione” to make sure our customers feel safe. Our goal is to create a connection between customers and manufacturers. 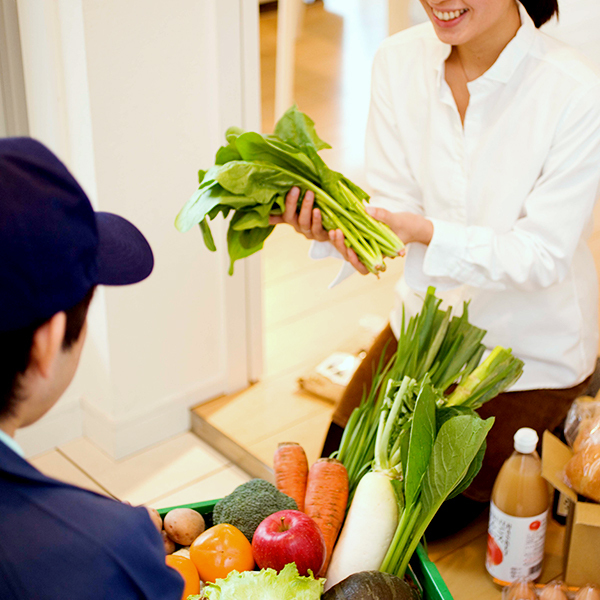 Daichi wo mamorukai is the first every organic agricultural products household delivery service. 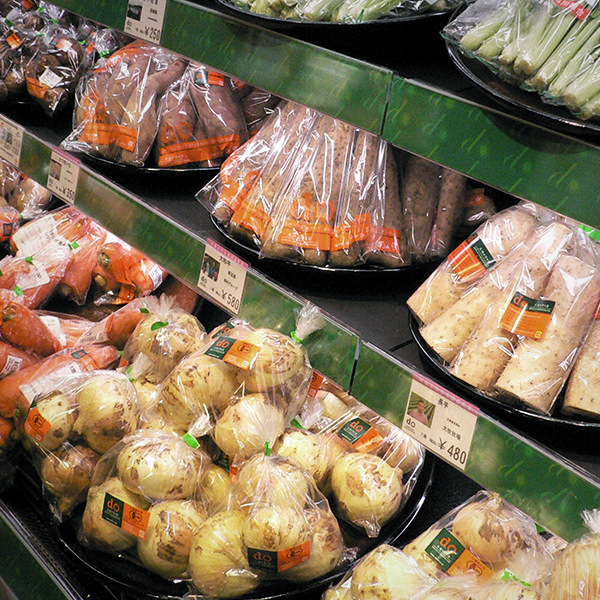 We distributes safe local seasonal products, processed food and groceries. 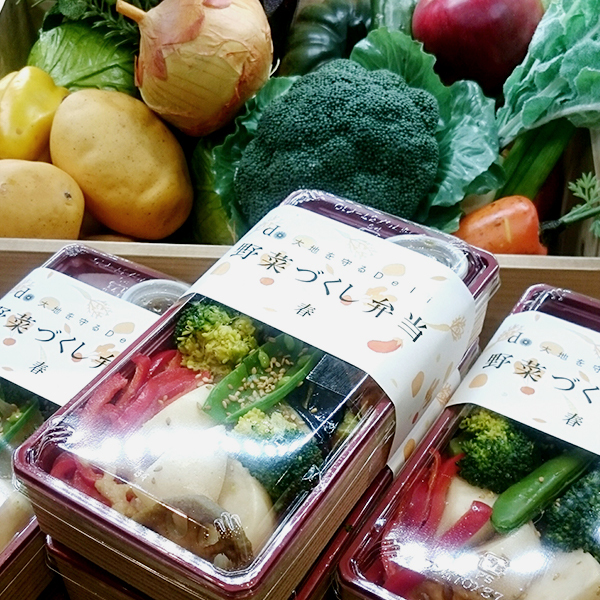 A shop in Tokyo station that sells specialized bento cooked with our most premium organic ingredients. Our housing looks at housing that protect its tenant and focuses on the concept of “Housing and natural in harmony”. Here is a list of shops that distribute products from Daichi wo mamorukai. We offer unique solutions developed through our own experience in business management. We use expertise gained via our own business experience in services, products and delivery to offer novelty promotions and products. Advertising service with an audience of approximately 140,000 households subscribing to Oisix.com's regular home delivery service (1.2 million unique views per month). Leveraging our own business experience to provide solutions support to companies for new online customer acquisitions, website user interface/user experience improvement, temperature-controlled food distribution, etc.